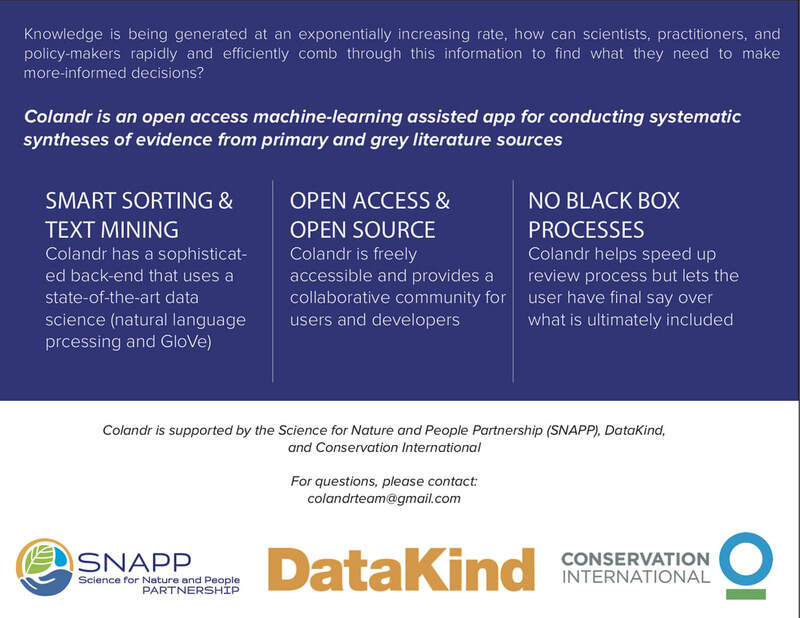 Initially created as a DataKind DataCorps project, Colandr was created to make evidence synthesis simpler and fast by providing computer assistance for screening and metadata extraction. A free and open source tool, we invite you to get under the hood, join our community of practice, collaborate on research, and help us continue to develop tools for evidence based decision making. We're your moderators and guides for the next year, and we're excited you're starting on this research journey with us.